It's cool. It's colorful. It has a retro feel and a "Forever" designation, meaning it will still be usable if (make that when) postage increases. We'll be at the PO on Saturday, buying a bunch. 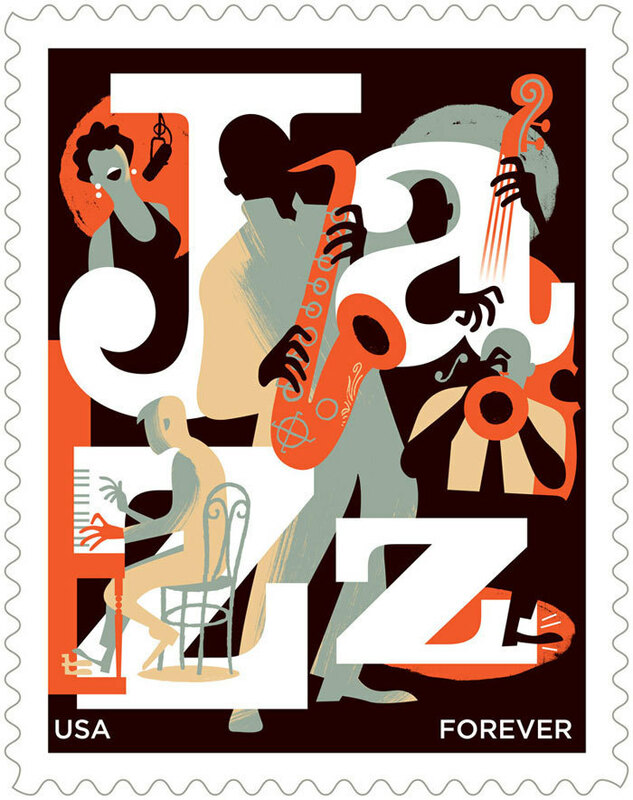 Artist Paul Rogers tells the story of how he came to design a jazz stamp for the U.S. Postal Service and who his influences were. "The only requirements [U.S. Postal Service art director] Howard [Paine] gave me was that the letters J-A-Z-Z- appear in the design and that no recognizable performer be depicted," Rogers writes. He shares some early sketches and the three designs he submitted to the USPS. The official release ceremony will be held in New Orleans. Here's a brief history of jazz-themed stamps, courtesy of JazzTimes. Why can't we have listening parties?